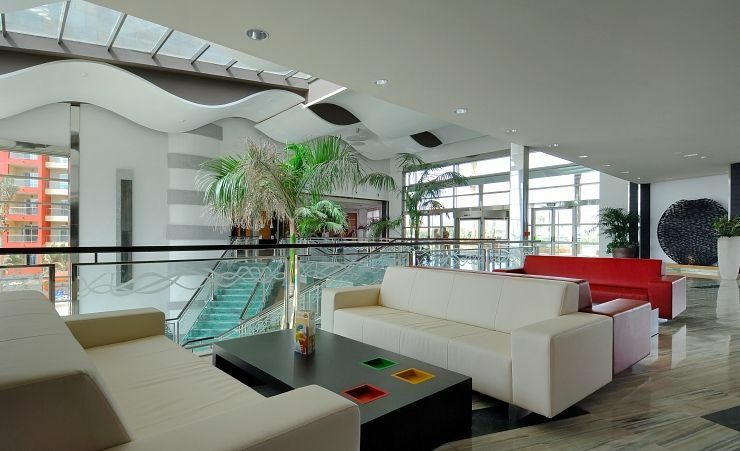 Sleek, modern and in a fantastic location, the Elba Carlota Beach hotel is an enviable choice for your next holiday in Fuerteventura. This is a contemporary style four star resort which enjoys a privileged location right next to a kilometre of sandy coastline. 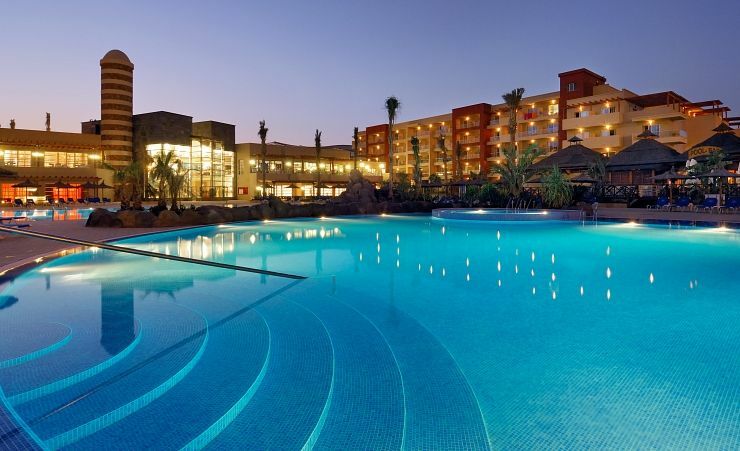 You'll discover a wealth of attractions nearby including the picturesque natural lakes, Fuerteventura's biggest shopping centre and many restaurants and bars. 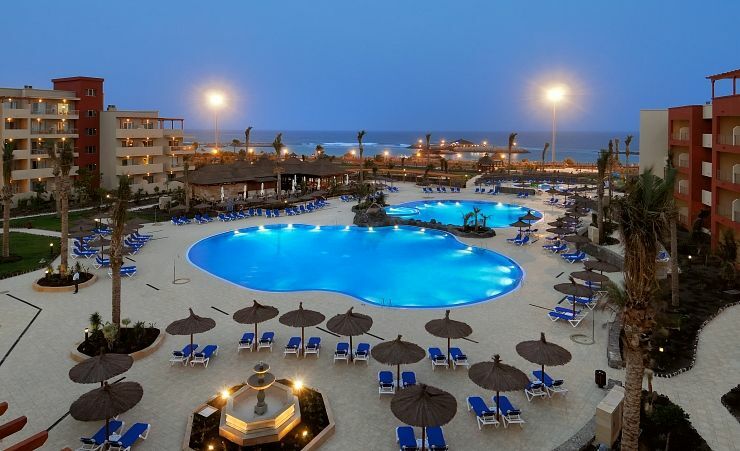 Guests can also take advantage of a shuttle bus service to the nearby resort of Costa Caleta, one of the island's most popular holiday spots. 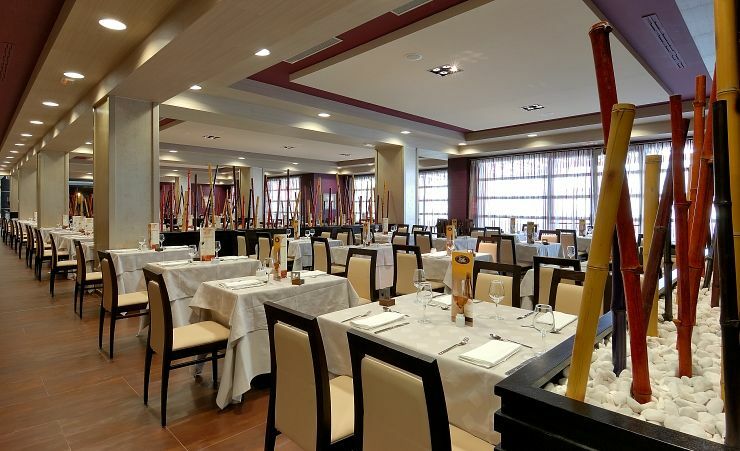 Location is an important consideration when choosing your holiday accommodation - which is why it's such a big advantage for the Elba Carlota Beach hotel. As the name suggests, you'll have direct access to the beach and the promenade, perfect for a stroll as the waves break on the beach, or for a lazy day sunbathing. 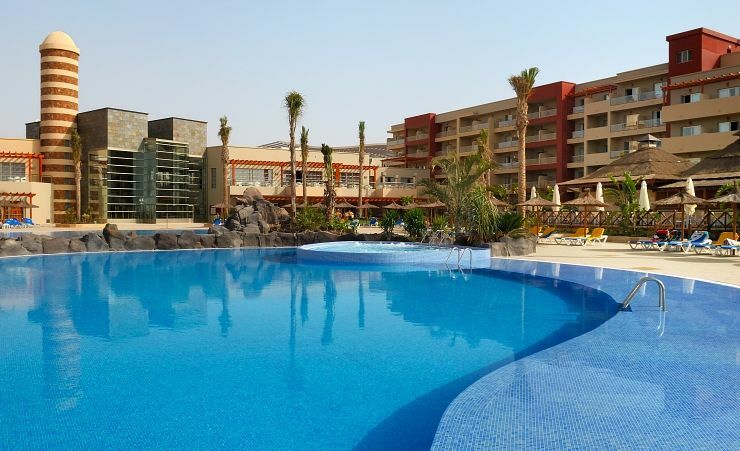 You'll also find lots of resort facilities nearby, whether you want to shop for souvenirs, have a meal or a cool drink, or socialise with other visitors - the choice is yours. Facilities at the Elba Carlota Beach include a choice of wonderfully inviting swimming pools with ample space for loungers alongside. 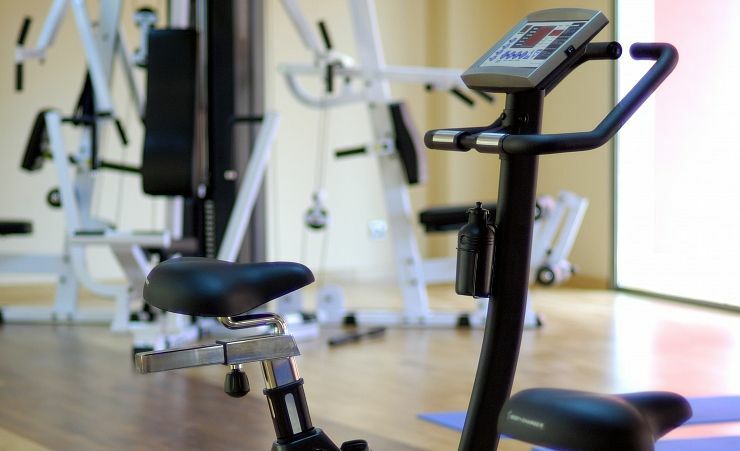 There is also a gym, Jacuzzi and sauna if you want to relax, as well as mini golf, table tennis and a shooting range if you want a bit of fun. 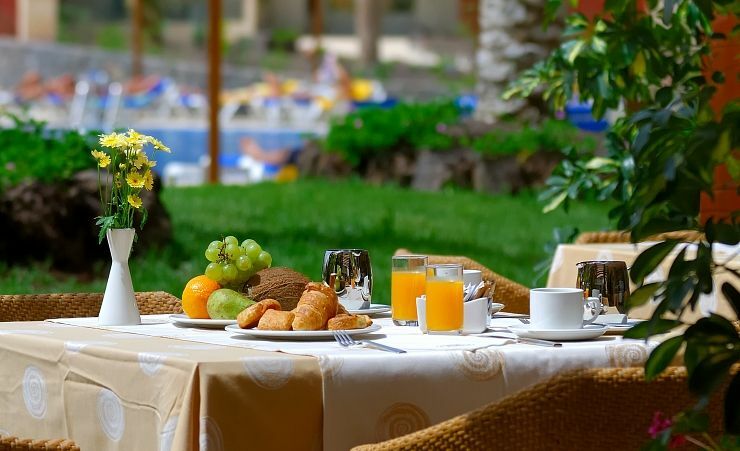 For a change of scene, take the shuttle bus to one of the Elba Carlota Beach sister hotels, or head for the golf course and while away a few hours. You'll be comfortable here too. 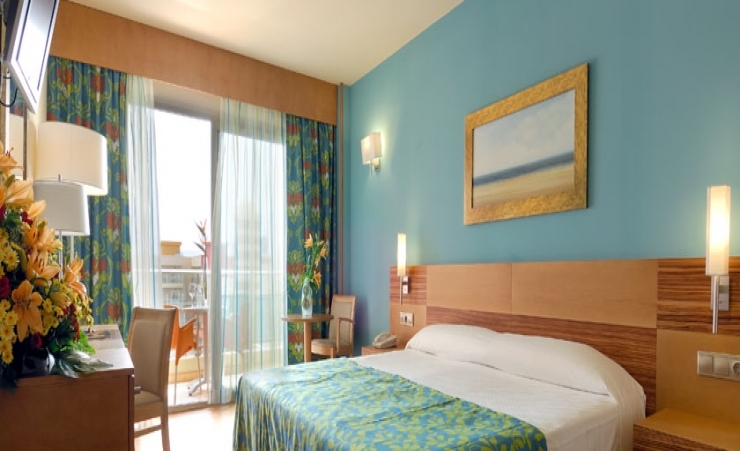 Double air conditioned rooms are spacious and tastefully designed with en suite bathroom. 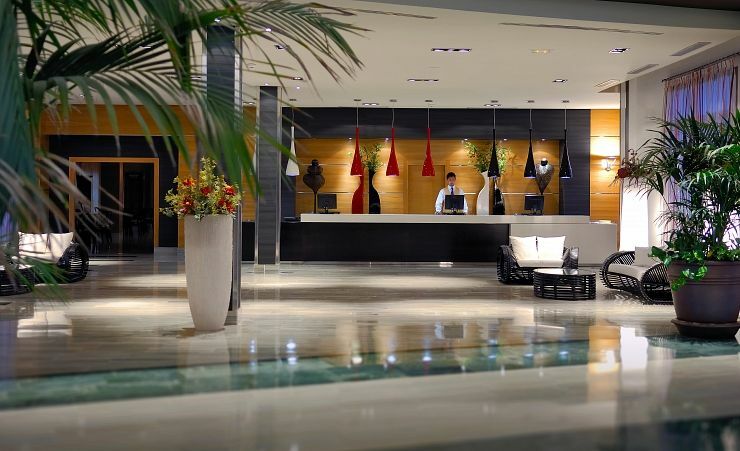 Facilities include a satellite TV, hairdryer, safe, telephone and mini-bar (on request). Double sea view rooms are available at a supplement. 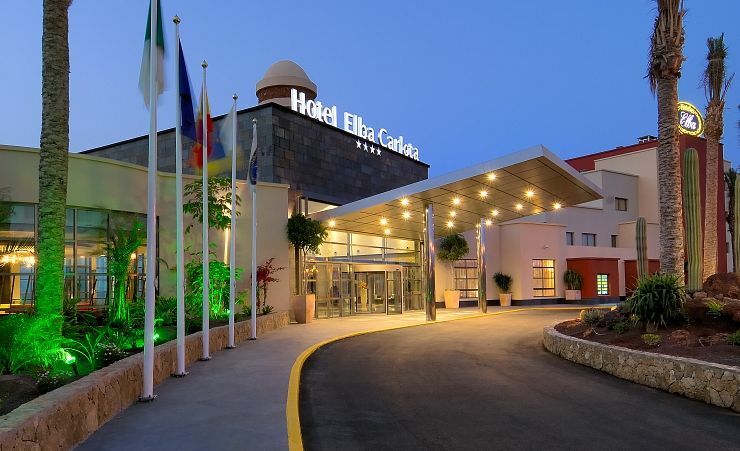 Find out more about your accommodation and the in room facilities at the Elba Carlota Beach . Each double room, for a maximum of 3 adults, or for 2 adults and 1 child, has a terrace or private balcony and is decorated to a high standard. Each room has a telephone, air conditioning, mini bar, coffee & tea maker, satellite LED TV, safe, desk and fully equipped bathroom. 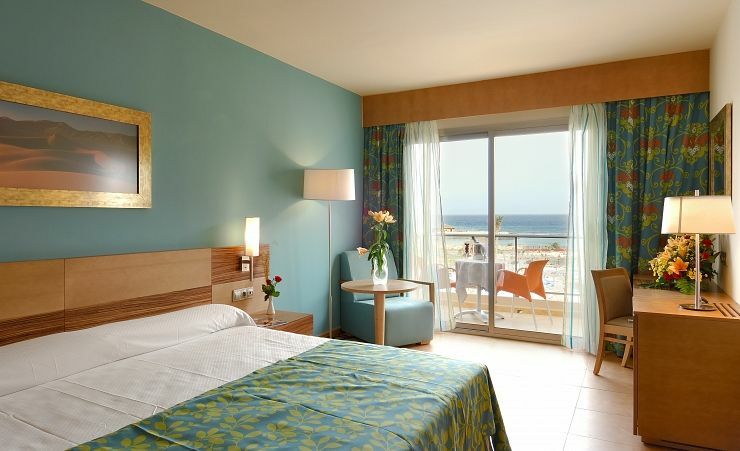 Each double room, for up to 3 people or for 2 adults and 1 child, has a terrace or private balcony with magnificent side views of the sea and is decorated to a high standard. 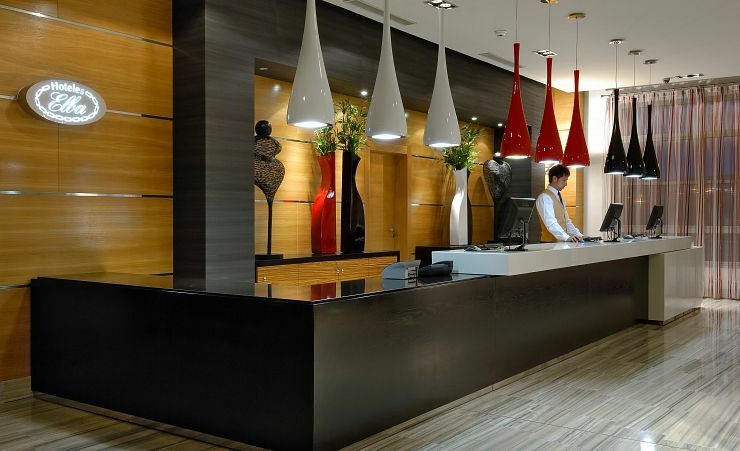 Each room has a telephone, air conditioning, mini bar, satellite LED TV, safe, desk and fully equipped bathroom. There is also a kettle for tea and coffee. 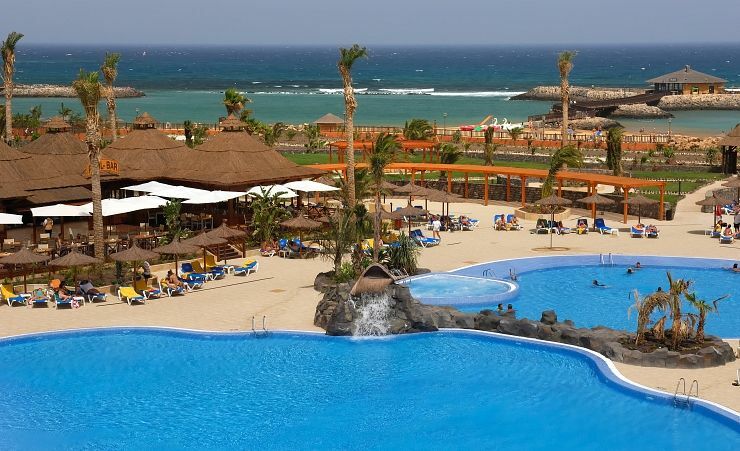 Caleta de Fuste is a purpose-built resort, designed to create the perfect safe and enjoyable holiday in the Canary Islands. 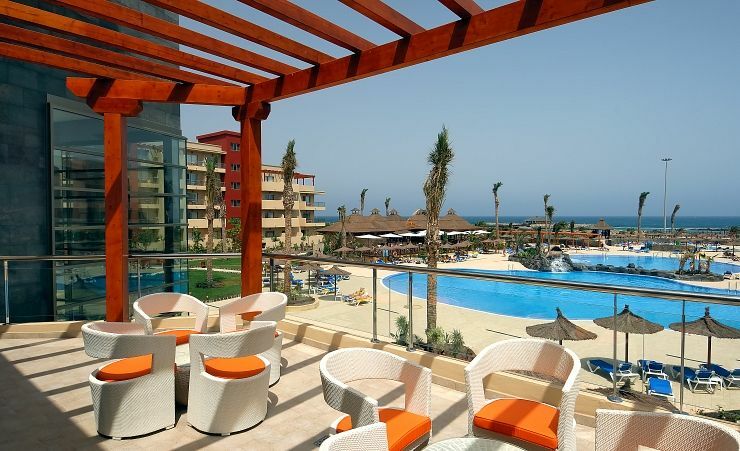 Caleta is Spanish for cove and 'fuste' is a type of fishing boat - so as you would expect, this delightful resort has a great beach for you to enjoy if you opt for a Caleta de Fuste holiday. 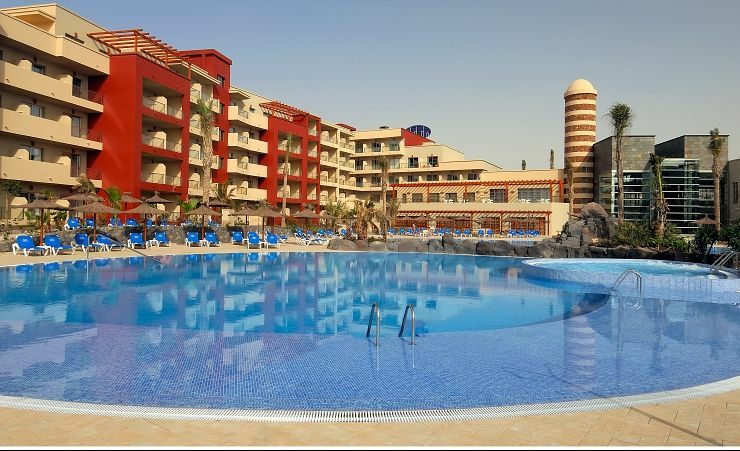 You'll find a mix of hotels and apartments, plenty of sandy beach and two golf courses on your Caleta de Fuste holiday. For all holidays in Fuerteventura, the glorious sunny weather plays a big part in visitors' enjoyment so there are plenty of places to enjoy being outdoors too. 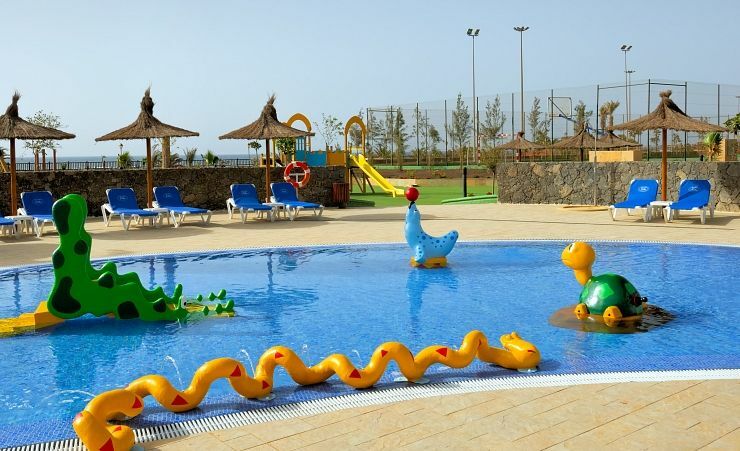 The atmosphere is relaxed and friendly, making our Caleta de Fuste holidays the ideal choice of Canary Islands holiday for all ages. Friendly helpful staff,,,,,good room service. Animation staff ...energetic and enthusiastic. Disabled access good especially in the dinning room. Food, outstandingly good. 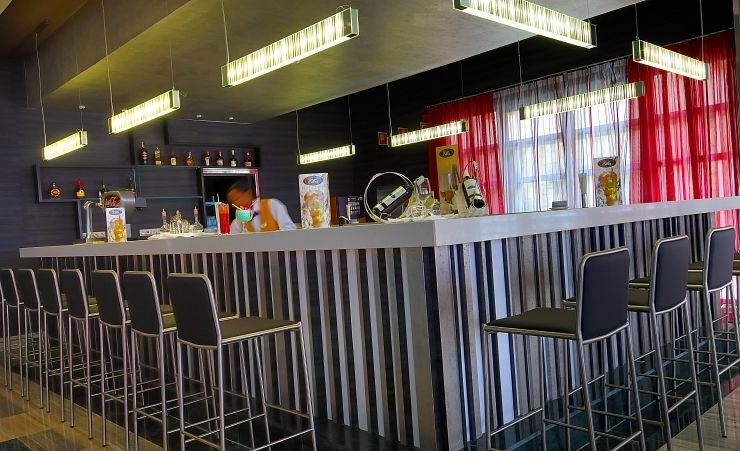 Plenty of excellent choice....good dinning room and Outside bar facilities. Our thanks to all of the hotel staff. Can't fault this hotel, cleanliness, comfort, food and staff are all brilliant. We have always been very satisfied with the holidays we have taken with you and look forward to our next one.